Since the start of 2004, LAX had 26 breaches, San Jose 21 and San Diego four. 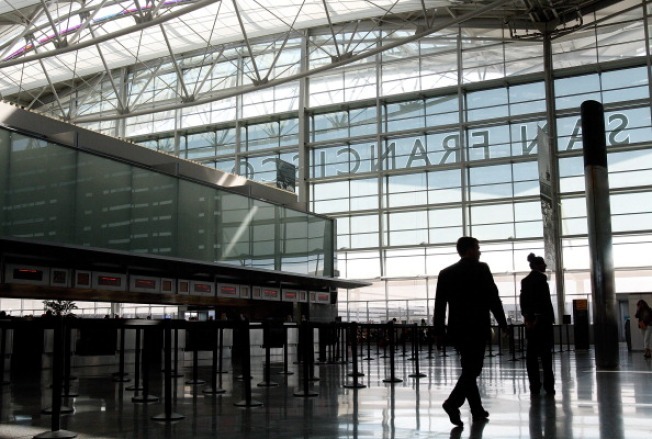 SAN FRANCISCO (AP) - A year after an Associated Press investigation reported San Francisco International Airport led the country for people getting over fences and through gates, officials there say they've had no more perimeter security breaches. But in March 2015, a woman walked around a vehicle exit gate and onto the tarmac, then tried to flag down a plane. That January there were two other breaches, including a man who drove past a gate and reached an airplane. AP got those details under a Freedom of Information Act request. San Francisco officials refused to disclose any information , citing security concerns, and insisted that none of the incidents AP identified should be considered security breaches. Including those three, as well as two others in 2012 and 2013 that federal records detailed, the airport had 41 perimeter security breaches from the start of 2004 through mid-February. That is AP's tally. The airport refused to share its own. "You asked `by SFO's own count, how many perimeter breaches has the airport had since the start of 2004?' Again, the PRA does not obligate the City to answer such questions,'' airport spokesman Doug Yakel wrote, using an acronym for California's Public Records Act. Yakel said that in an effort to be transparent, San Francisco responded to earlier AP inquiries by disclosing all potential breaches - but officials there suspected other airports did not, making their airport rise higher on AP's list than it otherwise might. Since last spring, San Francisco increased patrols, added lighting and closed-circuit cameras, and fortified two checkpoints with electric gates that slide open and closed, Yakel said. In 2014, the airport had two breaches; in 2015, it had at least three. The airport identified two more 2015 incidents as potential breaches, but said that like the others the U.S. Transportation Security Administration advised they should not count as security breaches. AP could not find information about those two, so they were not included in AP's count. Nationally, breaches happen about every 10 days at one of the 31 major airports AP studied. Airports say their outer defenses are strong and note that none of the 345 breaches AP documented involved a known terrorist plot. Across California, AP documented nine intrusions in 2015 at California's four busiest airports. In addition to the three in San Francisco, there were three at Mineta San Jose International, two at Los Angeles International and one at San Diego International. In February 2015, a man approached a Korean Airlines employee at LAX and said his wife was in the car and they were looking for their way out. He got over the fence by taking a ladder that an employee was using on the outside to set up better lighting at a cargo facility. It was one month later when a 42-year-old woman walked around a vehicle exit gate in San Francisco, and reached a cargo building where people in the air traffic control tower saw her waving her arms in an attempt to stop a plane. She later told authorities that she planned to stow away on a flight to Guatemala, to see her husband and child, much like a teenager who survived a flight from California to Hawaii in 2014. In San Diego, a man scaled two perimeter fences and ran onto a runway July 2015, halting inbound and outbound planes for 7 minutes before he was arrested.